Custom, automated email notifications for all your organization's needs. Email notifications designed to make your job easier, automatically sent to members and your team at the right times. Setting up a series of expiry reminders is easy to configure in SilkStart. You’ll be amazed at the time your team saves with SilkStart’s automated email notifications. 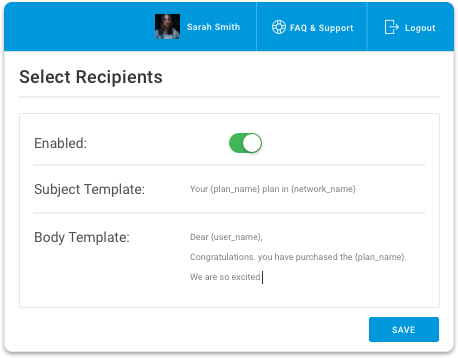 Edit our email notification templates with custom text that fits your organization. Insert dynamic merge tags so each notification is tailored to the recipient without the work that is usually associated with sending each member an email. Admins can decide which notifications they see and which they don’t. Find when your notifications are sent, and who is receiving them. Easily edit your branches' notifications. 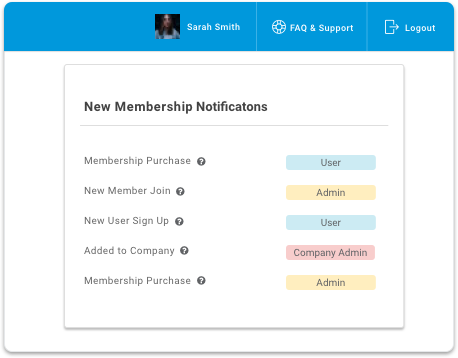 Send multiple notifications, engaging with members at the right time.